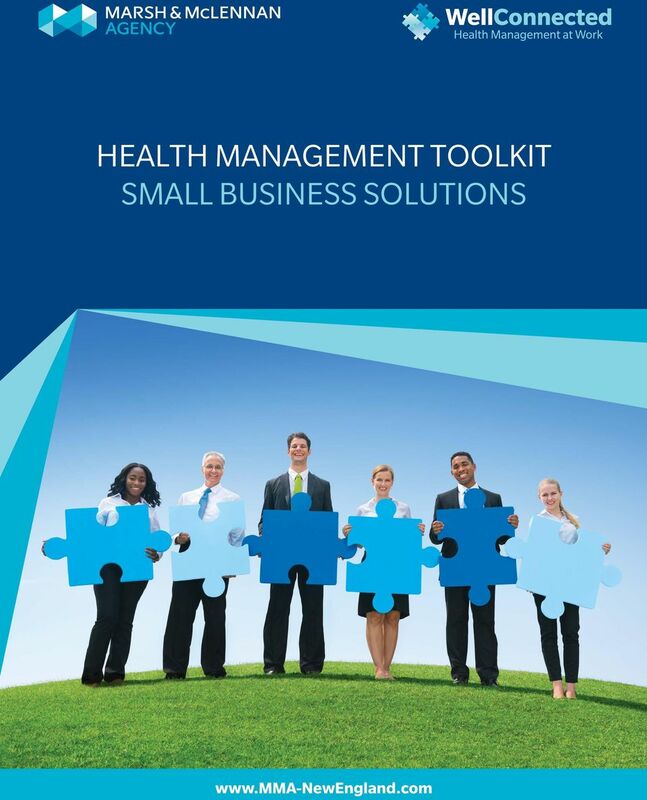 Download "HEALTH MANAGEMENT TOOLKIT SMALL BUSINESS SOLUTIONS"
Certified Corporate Nutrition Professional (CCNP) The Certified Corporate Nutrition Professional is an advanced certification of expertise offered by the Corporate Health & Wellness Association (CHWA). LIFESTYLE RETURNS STEPS PROGRAM ARE YOU READY TO GET ENGAGED IN YOUR HEALTH? We know that the way we live has a real impact on the way we feel. When we take care of ourselves, we have more drive and energy. 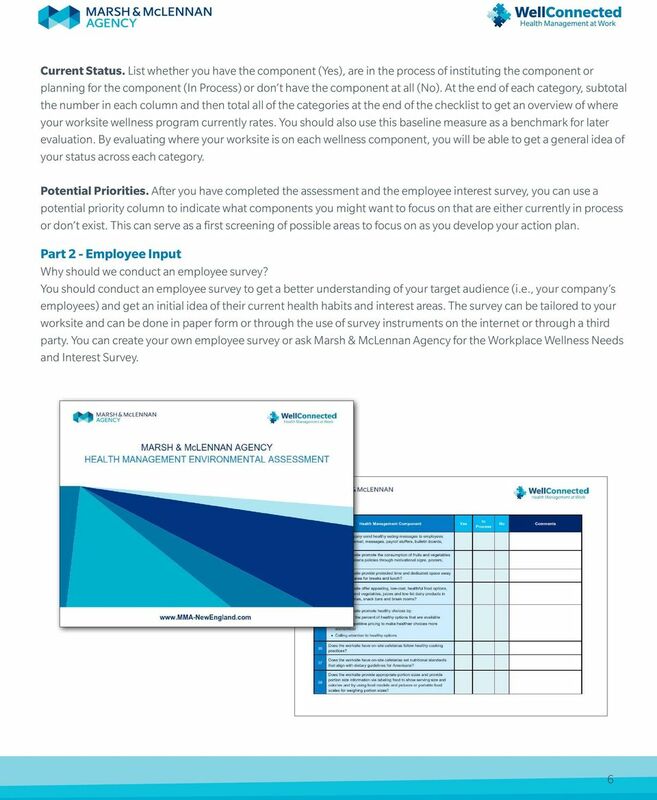 Creating a healthy and engaged workforce A guide for employers 1 Introduction The health and wellbeing of your workforce is fundamental to the achievement of your company s current goals and future ambitions. Workplace Wellness. 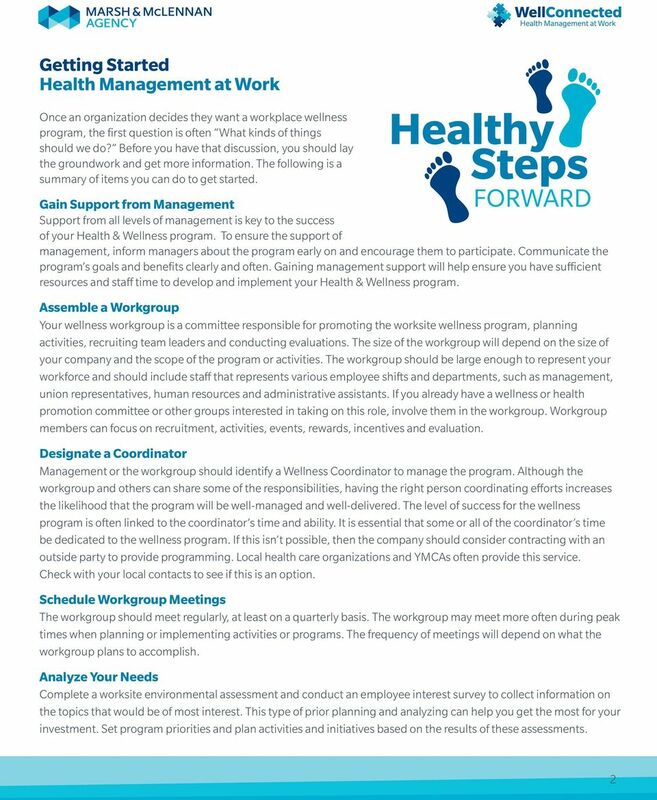 Your guide to implementing simple and effective wellness initiatives in the workplace. 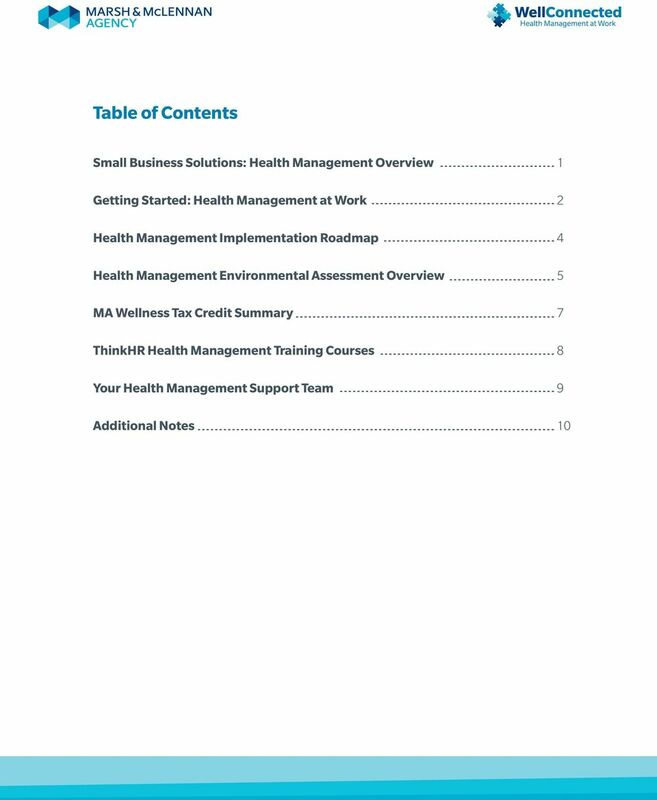 Workplace Wellness Your guide to implementing simple and effective wellness initiatives in the workplace. 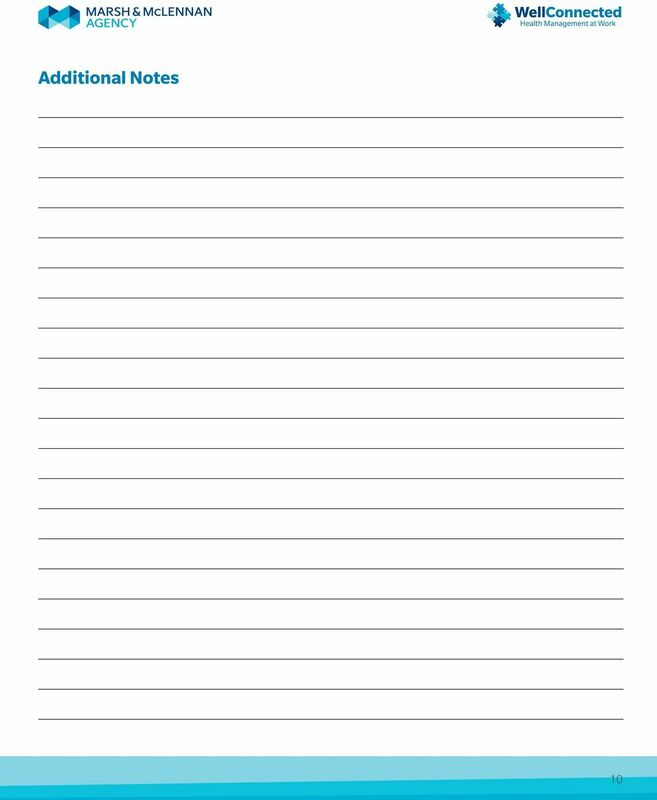 Produced by the Saint Paul Area Chamber of Commerce in coordination with Ramsey County Public Health. Experience. Wellness. Everywhere. 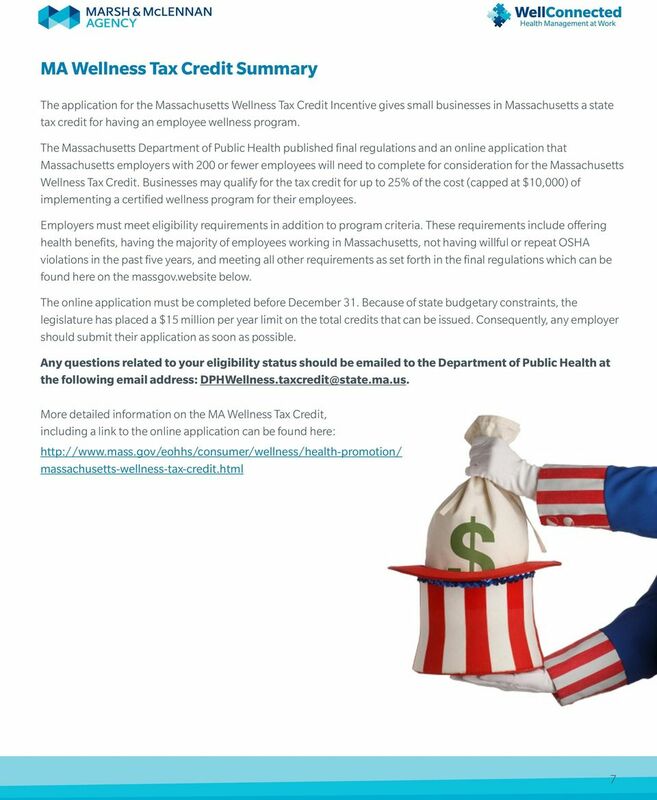 SM Our New Wellness Programs A Division of Health Care Service Corporation, a Mutual Legal Reserve Company, an Independent Licensee of the Blue Cross and Blue Shield Association. 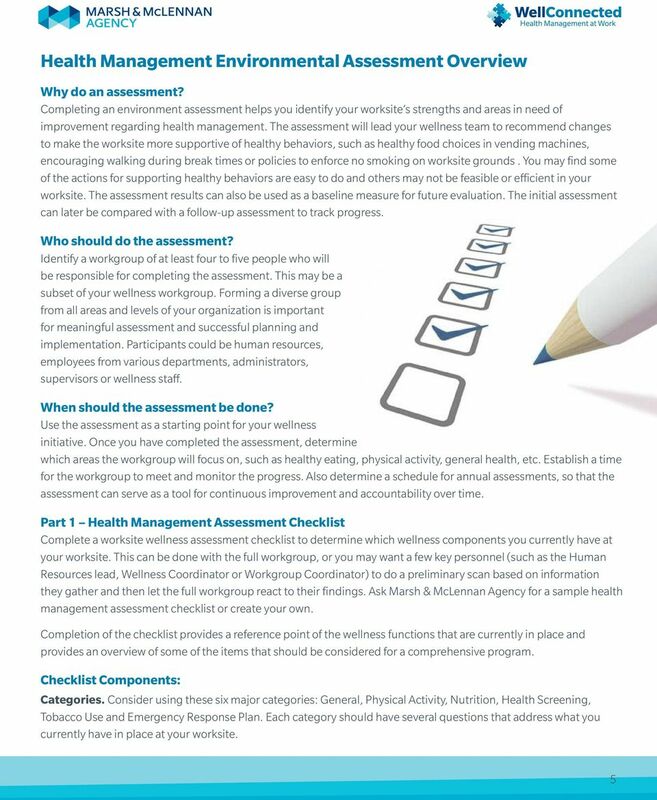 Health Assessment Toolkit GuidanceResources Health Assessment ToolKit Table of Contents 1. 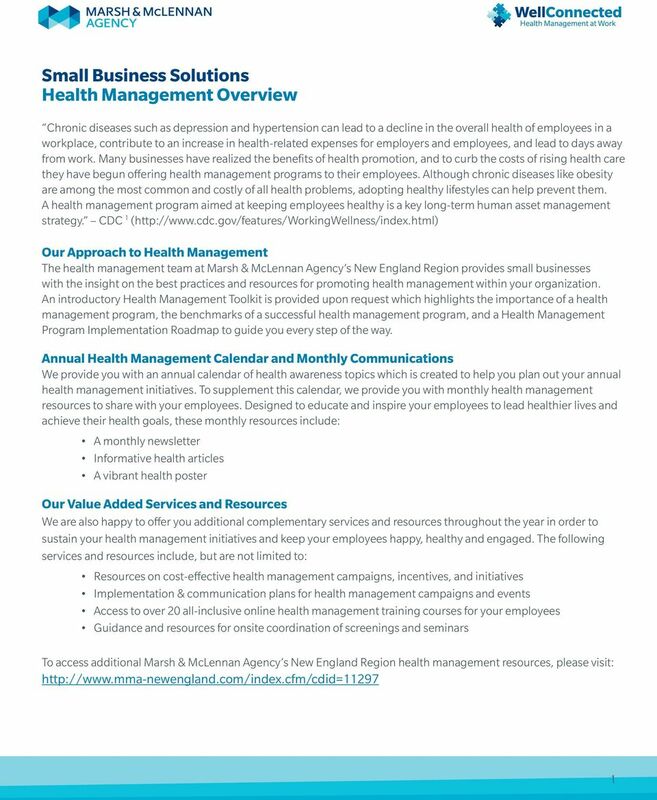 The Healthy You: The Importance of Taking Care of Your Health 2. 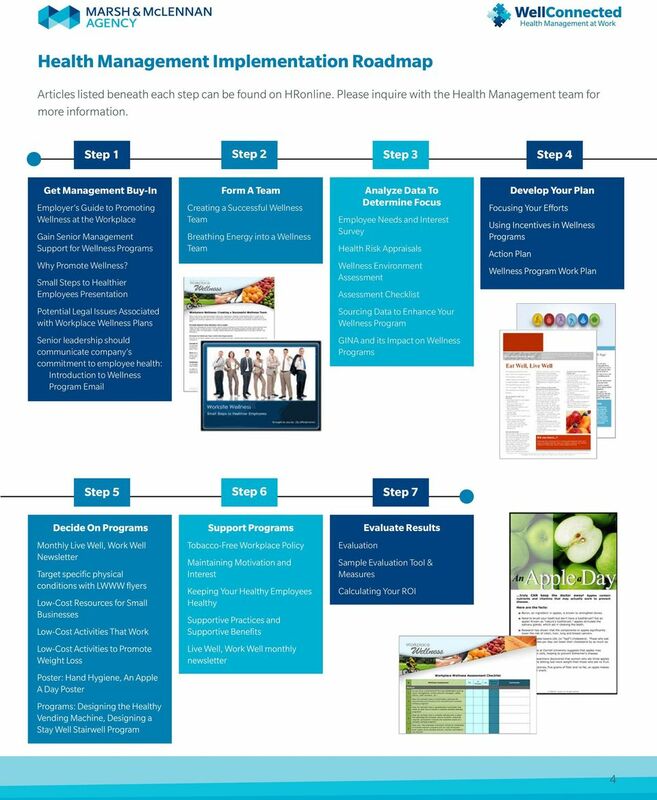 Introduction to the HealthyGuidance program 3. 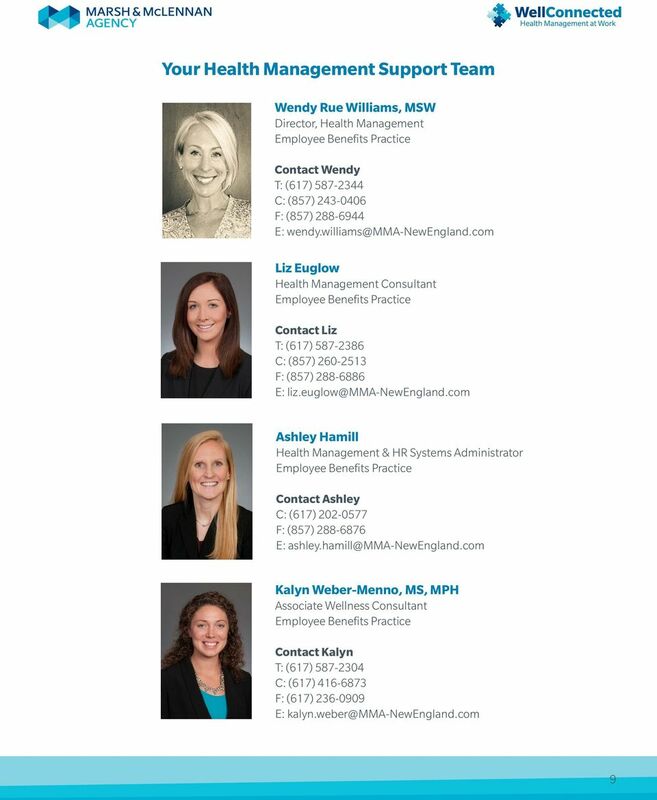 Wellness leadership: culture + strategy = results! 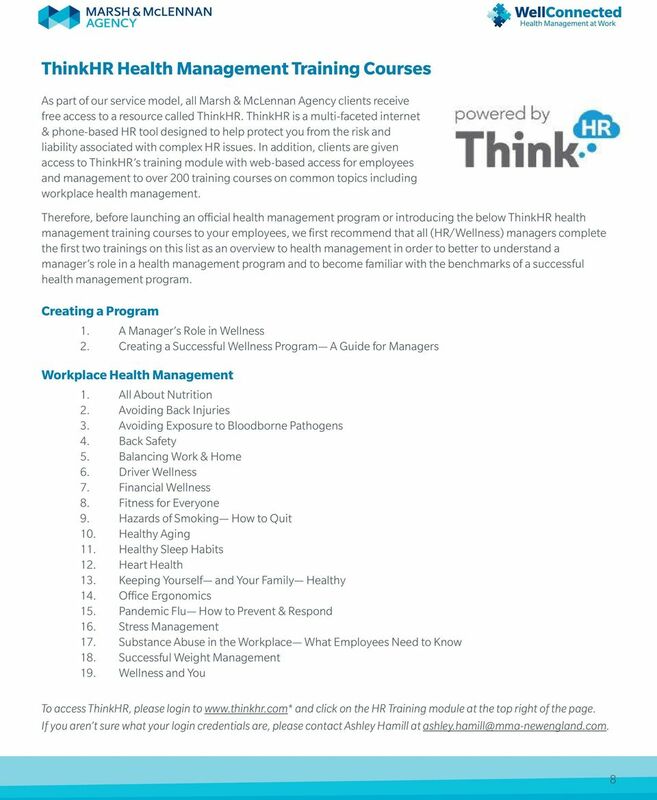 Engaging your employees in healthy behaviors delivering proven results. 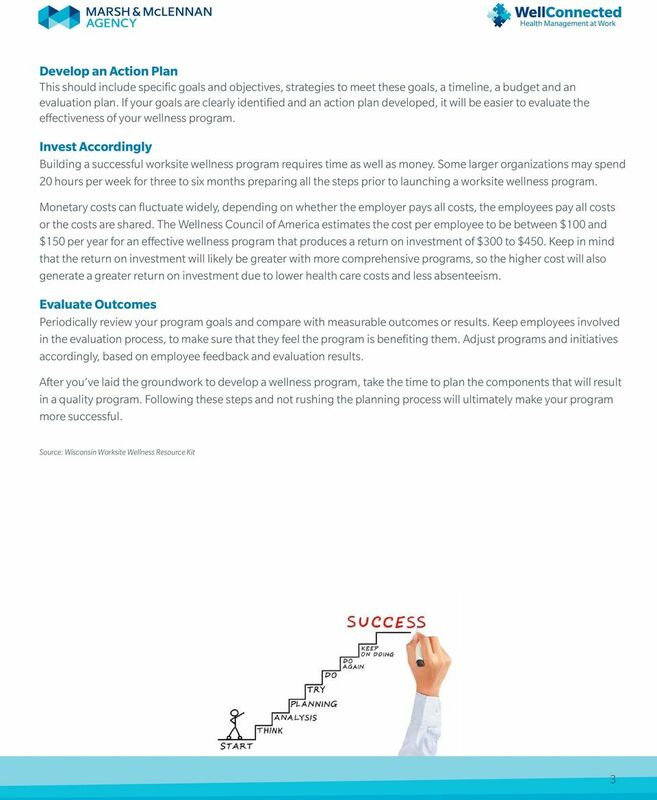 Program Guide. Good Health Starts Here.